Sewing with our new Vegan Leather is easier than you think! The following hints, tips and tutorials will get you whizzing up stunning leather creations in no time at all! Firstly you do not need really need any special equipment (needles, feet etc), our vegan leathers sew easily on a standard machine using a mid weight all purpose needle. You can of course use specialist equipment if you like but bear in mind our vegan leather is softer, drapier and lighter weight than traditional leather so it is easier on your machine and needles! Always use a new needle when starting a new project (this goes for whatever fabric you are sewing). 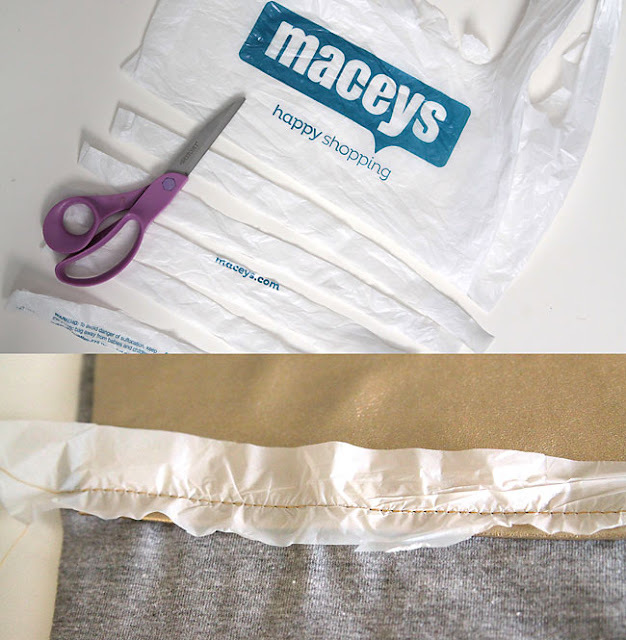 2) Cut your pattern pieces out individually, one layer at a time. 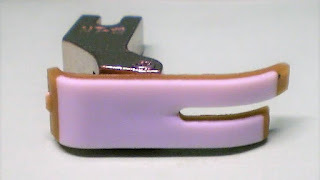 A rotary cutter often works better than scissors. 3) If possible don't use pins (they will leave holes, although they will be fairly imperceptible with our vegan leather), use fabric clips, paper clips, bulldog clips etc. 4) Check your fitting before you start sewing, every stitch could potentially leave a hole so unpicking and restitching may leave marks. 5) Use a longer stitch length for a stronger seam. 7) When sewing the right side of the leather face up, it can sometimes get stuck to the presser foot, so to prevent this you can use a teflon foot, or for a simpler, cheaper fix you can put some scotch tape on the underside of the foot to prevent it sticking. 8) Have a trial run on some off cuts before you start to get used to the fabric and make sure your stitch setting/ needle/ tension etc. are all ok. 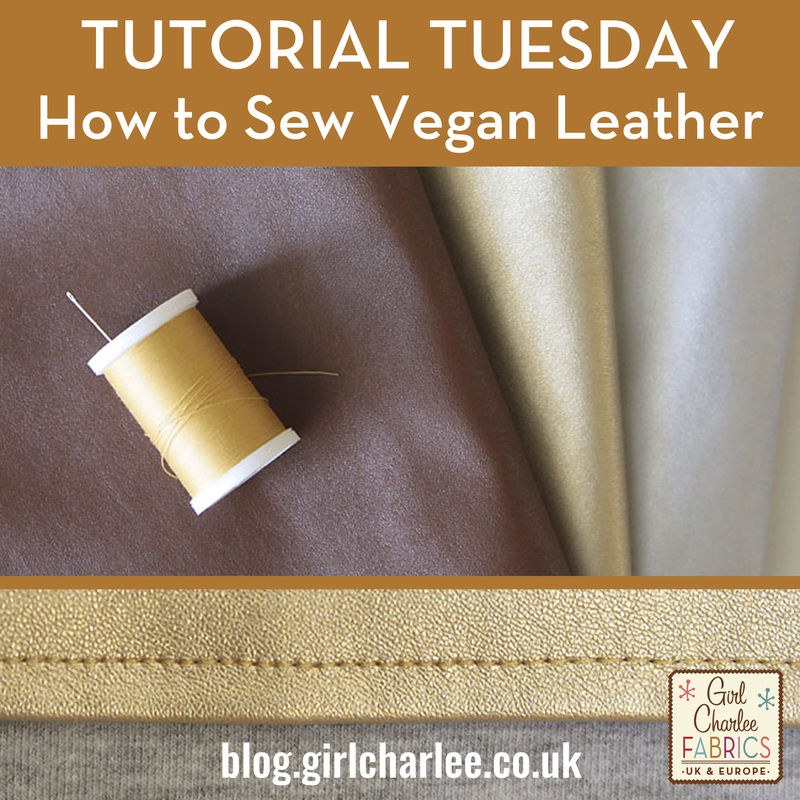 Autumn from It's Always Autumn wrote her How To Sew with Vegan Faux Leather guide specifically for our Vegan Leather so it's spot on. She used a different method using plastic shopping bags to prevent the leather sticking to her foot which is also a great tip. Sew what are you waiting for? Click your favourite fabric below and get leathered!